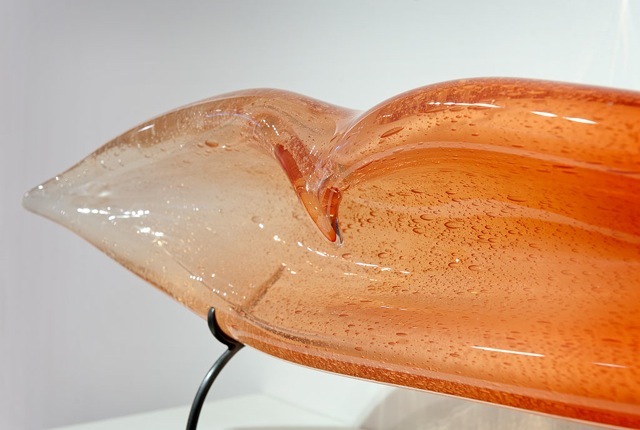 On display at Canlis Glass, Sundown Peel brings summer to life. During dreary months in the Pacific Northwest, JP used the art of hand blown glass to recreate memories of surfing in Hawaii. Sundown Peel depicts the dip of the sun into the ray-drenched waters of Hawaii. The clean lines and balance of this piece, make it easily one of the nicest Peels JP has created. JP’s love of the ocean, surfing and the sun is present in this piece. View Sundown Peel | HERE |.